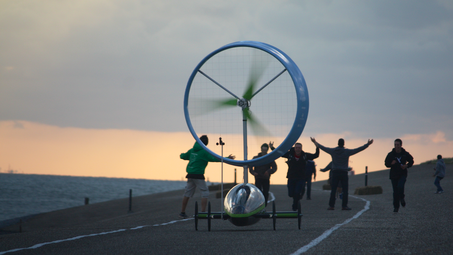 works hard to deliver each year a prototype for the Racing Aeolus event in The Netherlands. Using a fully mechanical propulsion, the Chinook vehicule gets its fuel only from a headwind. The torque created by the windturbine is transferred by many gearboxes and drive shafts to the main transmission, a 14 planetary gear gearbox, to multiply the power sent to the wheels. Numerous mechanical systems like the mast rotation, blade pitch and gear shifting are electronically controlled and monitored to insure the best performance possible based on the data collected by the car's sensors. Those data are sent to the Chinook Black Box, the electronic brain of the vehicule, through a CANBUS network. All the data can be monitored by the ground station through a wireless network. 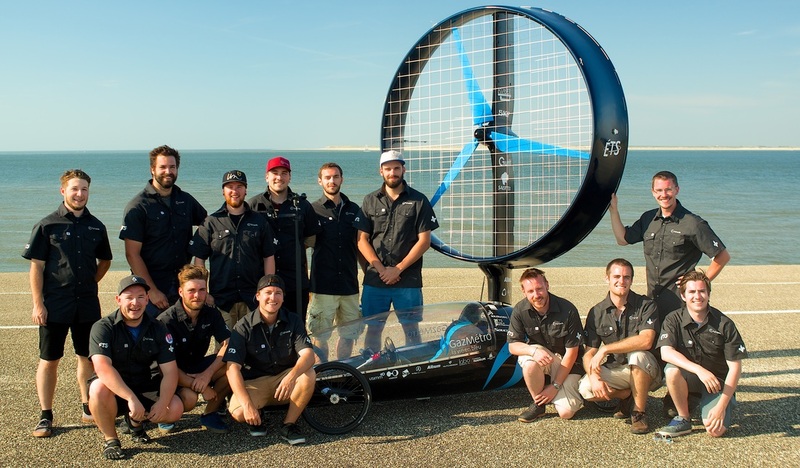 Every year, the Dutch organization Wind Energy Events presents Racing Aeolus, an event where special cars use a headwind as the sole source of energy for propulsion. Wind-powered vehicles of various academic teams have to travel a distance of 600 meters as efficiently as possible, on the shore of the North Sea in Den Helder, Netherlands. The general ranking of the competition is determined by the ratio of the vehicle speed on the wind speed. Aside from the main event, the drag race and the innovation price allow to determine which windpowered car is the most complete.